A war of words is deepening among Asian tycoon GH Tanna and Sons on one hand and locals on the other on how he acquired 36 plots in Kitale town. 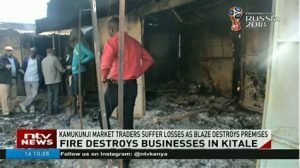 The tiff began when owners of Kamukunji market started to construct their plots after fire gutted all buildings late last year destroying properties worth million of shillings. The fire incident saw Devolution cabinet secretary Eugene Wamalwa and women representative Janet Nangabo among other leaders fundraise for Muliro market business community where iron sheets and money were donated. 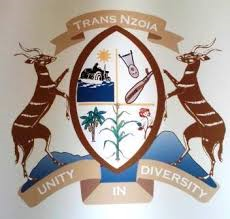 When they began to build, the county government of Trans Nzoia stopped them over the construction plan with GH Tanna and Sons from nowhere entering the fray and being enjoined the case instead of opening a new case. Muliro market business community led by Ronald Wanjala, Judith Wanjiru and Rashid Mukhwana now want GH Tanna to explain how he got the 36 plots that were owned the local government before devolution came into place. Muliro market owns plot no 439, 440, 441, 442 while GH Tanna is demanding a plot No 364 where he has told to ask the county surveyor to show him where the plot is located. The business community claims that from the old to the latest map, Tanna’s alleged plot does not exist, and the question remains where were the plots before the fire incident? And after fire incident last year, why did he not take action and fence all plots the way he has done to the 36 plots opposite the museum? They refuted GH Tanna’s statement that he did the case with somebody in the name Boaz Kipchumba Kaino and won. The business community said wondered where the said Boaz was since 1994 when they were allocated the plots, stating that the tycoon could be dreaming.